Designed and build exclusively for Turbo Beds by The world’s largest and most respected manufacturer of premium mattresses. Every mattress combines old-world handcrafted attention to detail with latest sleep technologies. Recommended to use Twin Bedding.Color: White .. Designed and build exclusively for Turbo Beds by The world’s largest and most respected manufacturer of premium mattresses. Every mattress combines old-world handcrafted attention to detail with latest sleep technologies. Recommended to use Twin Bedding. Color: White ..
1. Fabric made of organic fabric 2. FR barrier inner cover 3. 2" Gel memory foam 2.5lb 4. 1.5" airflow comfort layer 5. 4.5" base foam 1.87lb 6. 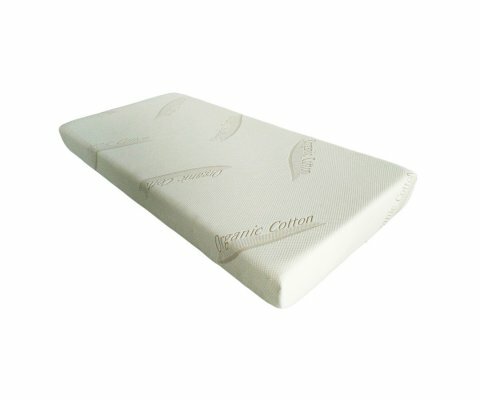 Non slip fabric ..
High density foam, ventilated foam and memory foam with a polyester coverPatented pressure relief system increases circulation and reduces pressure points.Compression technology enables us to reduce the mattress size by more than 50%Active and fresh charcoals controls odors and maintains freshnessM..
Wake up rejuvenated with Sleep Mattress. The memory foam mattress conforms to the unique shape of your body, minimizing pressure on the shoulders and hips, and providing balanced support through the night. Meanwhile, the mattress' dense foam core promises enduring quality. The result is an unparalle.. The awareness of health and hygiene has increased the demand for antimicrobial textiles. 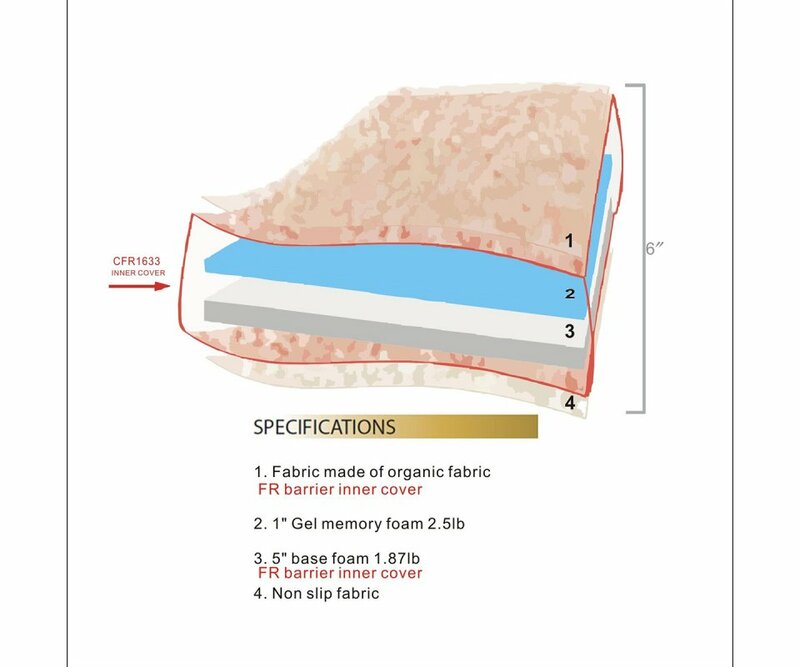 We have infused Aloe Vera Extract into 8 inch Contouring Memory Foam mattress cover. Aloe Vera protects and rejuvenates skin as well as offering anti-bacterial and anti-fungal properties. Infusing our cover with..